Natalie Clein and Christian Ihle Hadland lend Rebecca Clarke's darkly passionate, tautly argued sonata blisteringly eloquent treatment. Runner-up to Ernest Bloch's Suite for viola and piano in a prestigious competition organised by the American patron Elizabeth Sprague Coolidge, the superb Viola Sonata of 1919 by Rebecca Clarke (1886-1979) is given here in its alternative guise for cello and piano sanctioned by the composer. Natalie Clein and Christian Ihle Hadland lend this darkly passionate, tautly argued music blisteringly eloquent treatment, and they prove to be just as convincing advocates for Frank Bridge's magnificent wartime Cello Sonata (1913-17) – a performance of beguiling sensitivity, sweep and emotional candour worthy to rank alongside those hugely eloquent versions from Rostropovich and Britten (Decca) and Paul and Huw Watkins (Chandos). 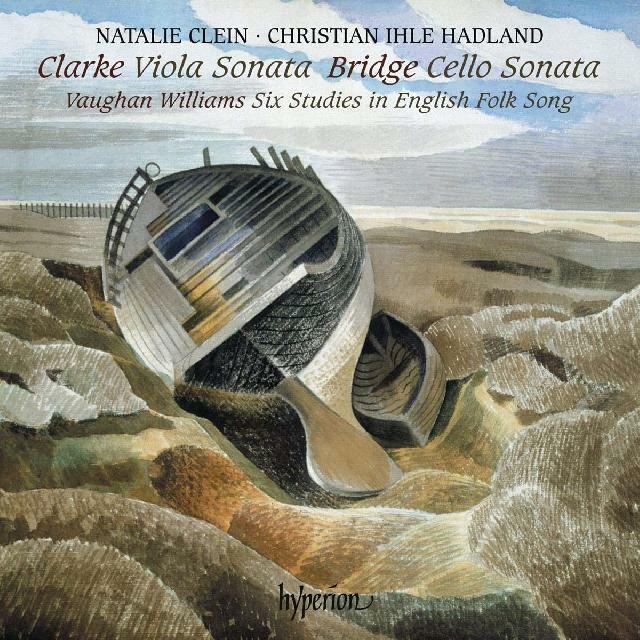 It's preceded by three charming Bridge miniatures, all beautifully done, and the disc concludes with a comparably stylish rendering of Vaughan Williams's endearing Six Studies in English Folk Song, written in 1926 for the cellist May Mukle (Clarke's loyal chamber-music partner) and her pianist sister Anne. Hyperion's superior production- and presentation-values leave nothing to be desired. Don't miss this one!